Provides that every person convicted of crowding or threatening a bicyclist shall be guilty of a Class A misdemeanor if the violation does not result in great bodily harm or permanent disability or disfigurement to another. Provides that if a crowding or threatening a bicyclist violation results in great bodily harm or permanent disability or disfigurement to another, the person shall be guilty of a Class 3 felony. The original bill received great support by the Illinois legislature. It passed the Senate with 55 "yeas", 0 "nays" and 2 voting "present." The bill faced a little more opposition in the House, but still easily passed with a vote of 93-20-01. Thanks to all those who supported the bill and to Gov. Quinn for putting it into law. 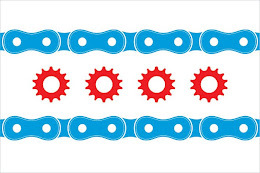 Posted by Illinois Bicycle Lawyer Mike Keating.